What's the one thing that would fix the automotive industry today? Fresh ideas, you say? Well, this isn't quite that. 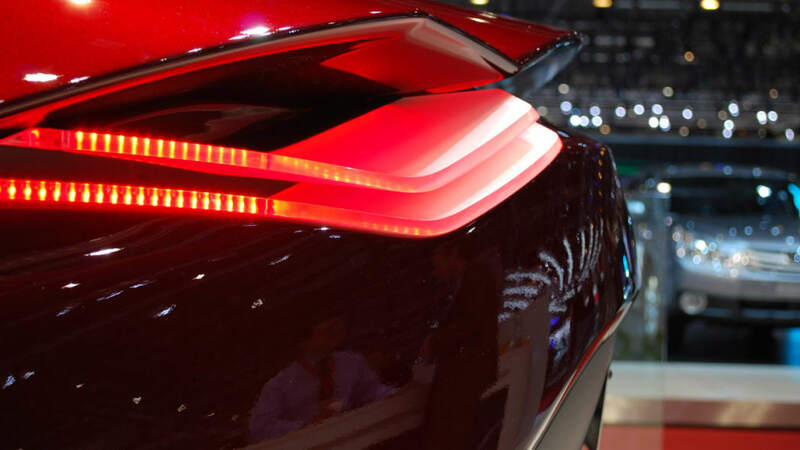 In fact, auto shows these days – Geneva particularly – have become packed with legions of swoopy, stylish four-door hybrid concepts. What this is, though, is one of the more attractive ones we've seen to date. Created by the quizzically-abbreviated I.DE.A. Institute, the Sofia's hourglass shape is (according to the press release after the jump, at least) inspired by the female form. And we don't have much trouble believing that line, curvaceous as it is. The hybrid part, though, is pure fantasy. Because like many design studies, the I.DE.A. Sofia is an empty body shell. It's got no interior, but more to the point, it has no mechanicals inside. Its creators say it could theoretically accommodate a V8 engine, with or without the assistance of an electric motor, driving either the front wheels or the rear. Like it? Don't get too excited by the prospect of production. 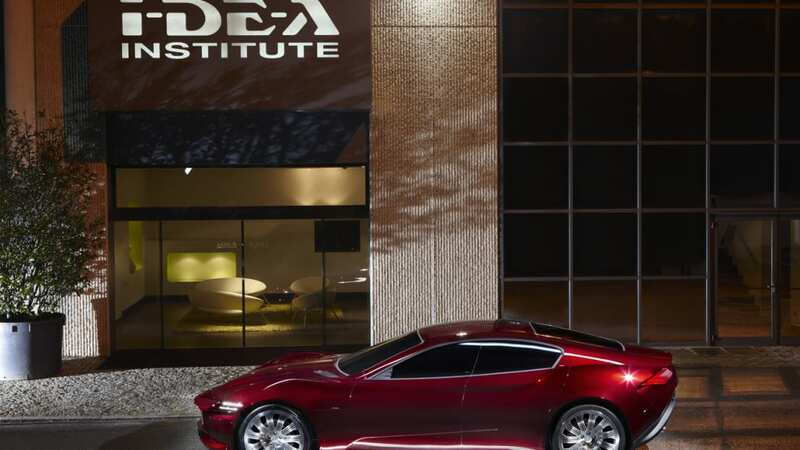 The I.DE.A Institute claims to have contributed to designs for numerous major automakers, but in its 30-year history has produced more household appliances and furniture. 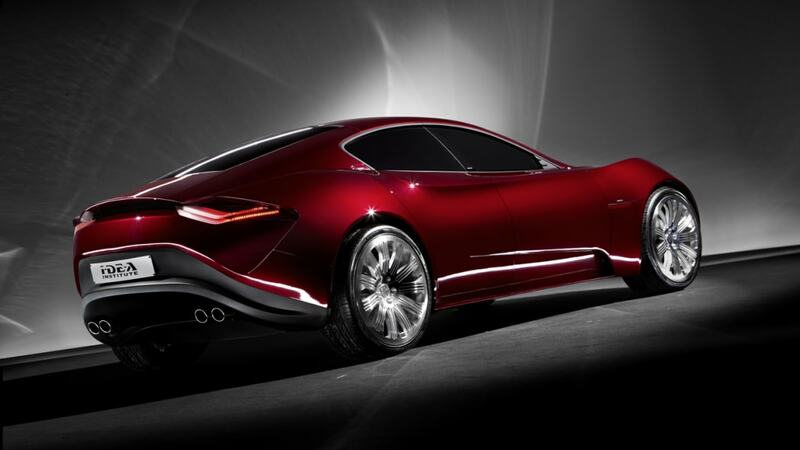 For the next upstart looking to join the likes of Fisker and Tesla, though, the sumptuous shape could be just the ticket. Don't take our word for it; have a closer look for yourself in the galleries below. Photos by Noah Joseph / Copyright ©2010 Weblogs, Inc. 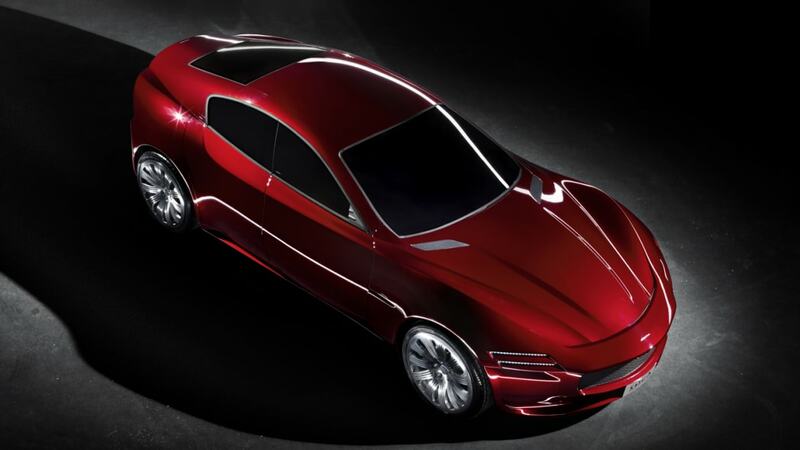 Following last year's success, I.DE.A Institute returns to Geneva for the 80th International Motor Show to present a 4-seater sedan designed to be powered by a hybrid engine. 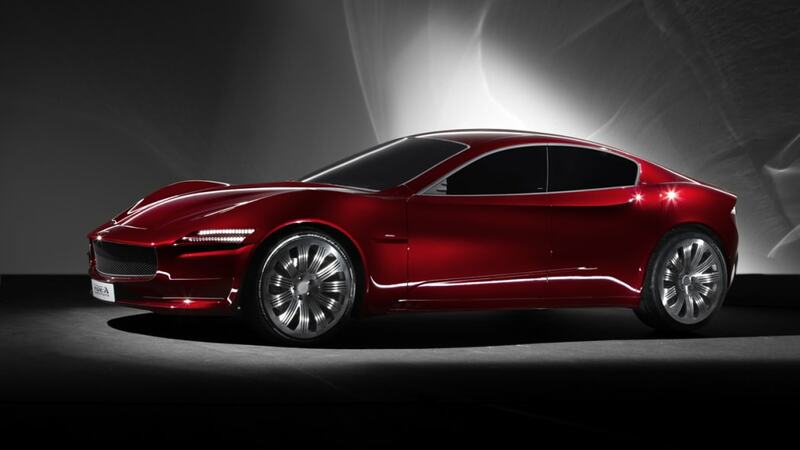 This concept car is symbolic of I.DE.A Institute's continued drive to renew the company, which began in 2007. 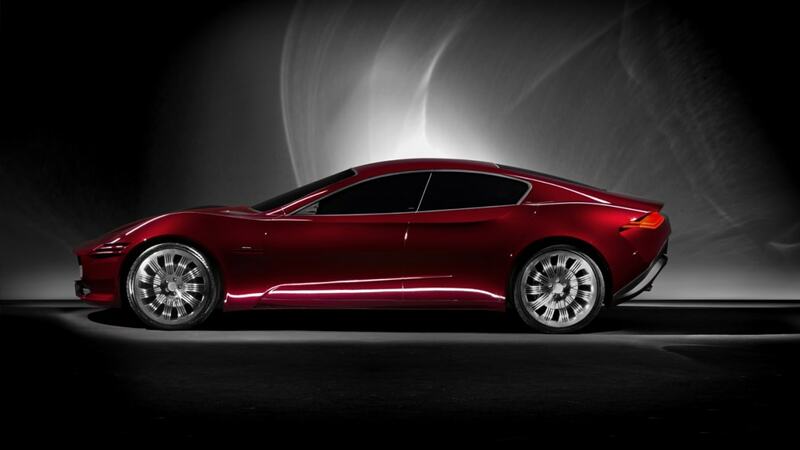 The styling by the new Design Center and the workmanship of the model makers and show car builders have together created this new "all-Italian" model, aptly named "SOFIA" The sedan's lines and shape reflect how the car is related to its forerunner, ERA, presented in Geneva last year. SOFIA is also inspired by the female form: its flanks, glance and elegance are emphasised by a glamorous red dress. SOFIA is a concentration of sportiness and elegance. The curves are graceful, the lines smooth and supple, the shape and profile are as enchanting and alluring as a female figure. 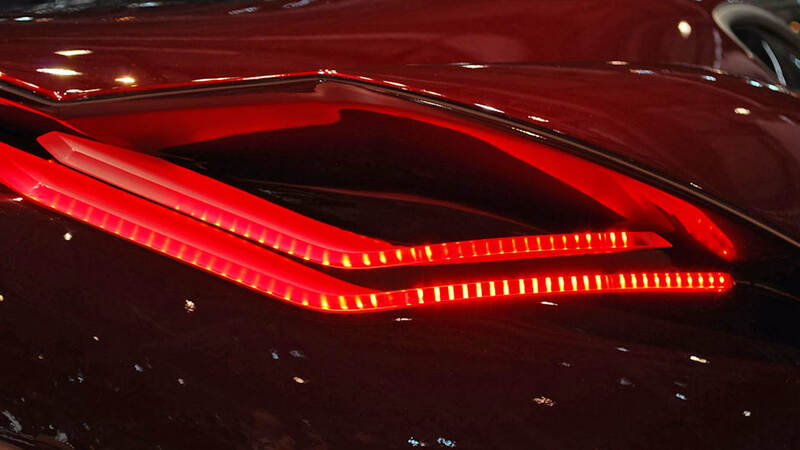 The front and rear light clusters convey a captivating and inviting look. 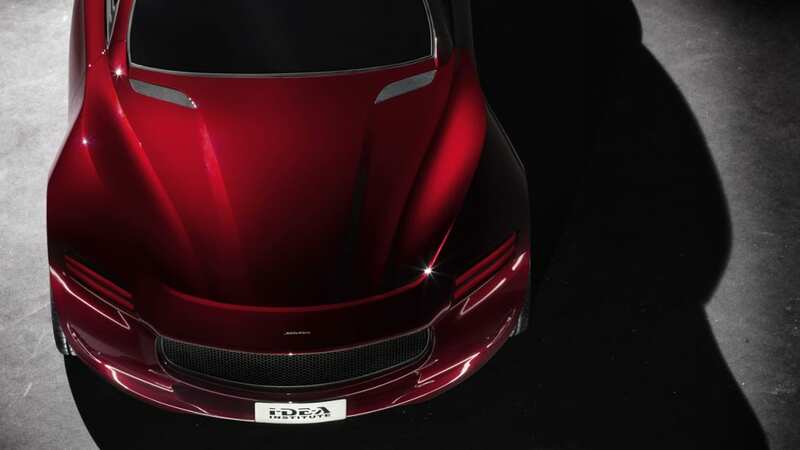 Sculpted lines emphasise the front and rear wings with the bird's eye view showing off the car's hourglass figure. 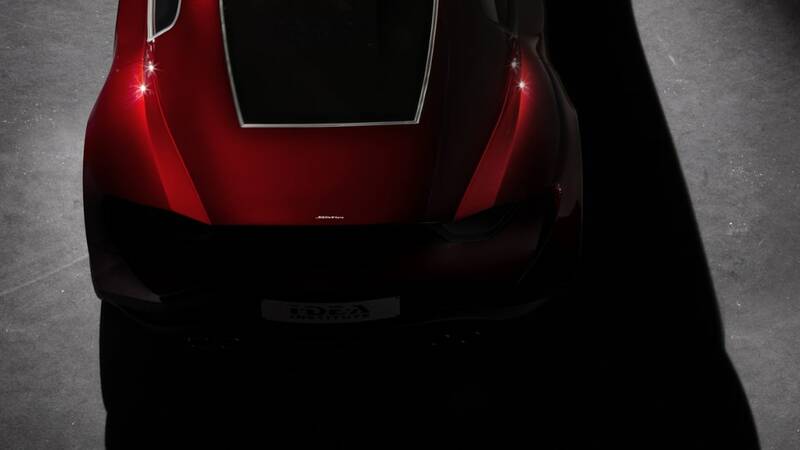 This latest concept car is Italian to the core: its shape, its look, its elegance and name are instantly recognised as being synonymous with Italian styling and beauty. The mechanical layout is designed for an 8-cylinder engine with front or rear-wheel drive. A hybrid configuration with an endothermic engine combined with an electrical alternator/actuator is also possible. 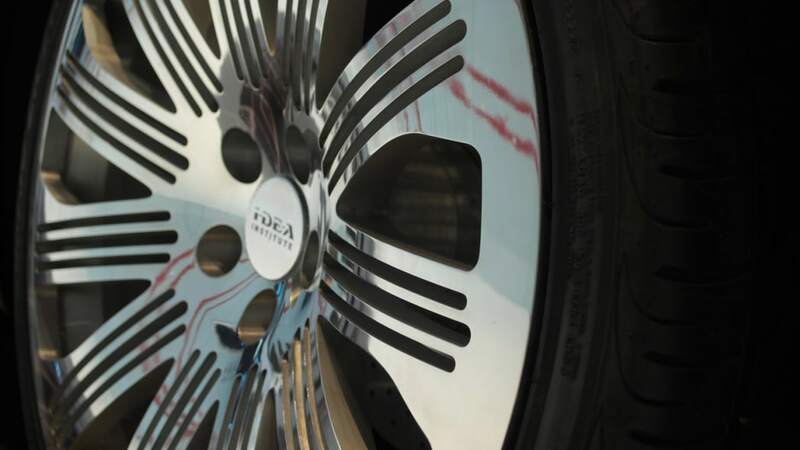 Founded in 1978 by the entrepreneur Franco Mantegazza, I.DE.A Institute rapidly grew into a company which could supply a whole range of services to the automotive as well as to other industries. With its modern headquarters in Turin, the company has expanded onto global markets to respond to the needs of its customers and now has branches in Europe, Asia and South America. Since 2000, I.DE.A Institute has been part of the Swiss multinational Rieter Group with a 2009 sales figure of 1.95 billion Swiss Francs. I.DE.A Institute was created with the aim of providing a technological partnership to car manufacturers and never to impose its own signature on the cars it designed. I.DE.A Institute's true trademark is the innovative spirit that it has embodied in its approach to design and engineering for over thirty years. It is this spirit that, at some point in their professional careers, attracted figures of the calibre of Renzo Piano, Walter de' Silva and Ercole Spada. Over the years, I.DE.A Institute has contributed to the design of many cars for the world's major carmakers as well as working with manufacturers in other fields such as motorcycles, household appliances and furniture. The process of renewal and international expansion launched by the company's Chairman, Pietro Lardini, means that I.DE.A Institute now offers its clients a complete range of services. Its optimised working methods fully respond to the market demand for a flexible, integrated workflow. I.DE.A Institute's services cover the entire product development process: from the initial concept, through design, engineering, the construction of 1:1 scale models and running prototypes, right up to start of production. An important characteristic of I.DE.A Institute is its systematic application of a Cost Engineering methodology to every phase in product development. This achieves the best possible balance between technical aspects and cost in order to fully meet project targets. 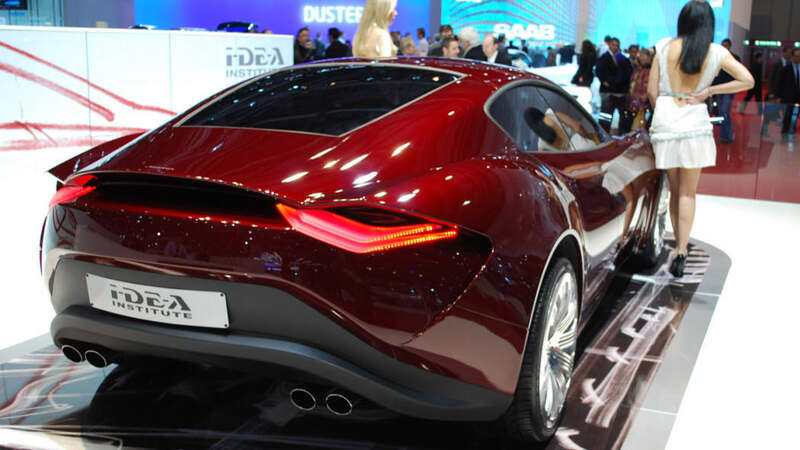 During its history, I.DE.A Institute has worked with the world's major carmakers supplying design, engineering and prototyping services as well as complete turnkey projects. The Fiat VSS (sub-system vehicle), Fiat Tipo, Nissan Terrano II and Daihatsu Move are just a few of the many vehicles that have been designed by I.DE.A Institute. 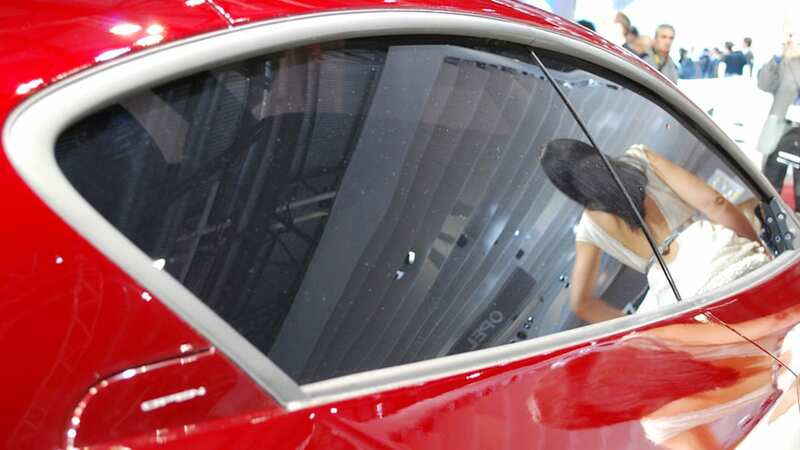 In more recent years, in addition to its major European clients, the company has also worked with rapidly growing carmakers from China, such as Changan and Hainan. I.DE.A Institute has also been a key partner in the development of the most important low cost cars on the world market today. The company has also worked with well-known names in other fields of activity such as Ducati, Hoover/Candy, Bialetti, Ariston, Indesit, B&B and Nordica, to name but a few. With the expansion of I.DE.A Institute onto new markets and the opening of a new branch in Brazil, the company is currently engineering cars for important manufacturers in South America. 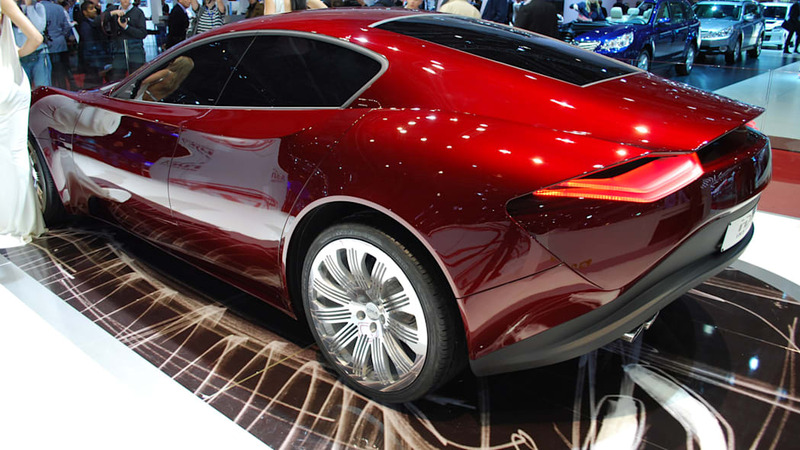 The development of the Design Centre in Turin has seen more young designers joining the company and investments being made in Computer Aided Styling technologies. This means that the company can now respond more dynamically to the requirements of the market by further shortening development times. The team of designers is also working on concept and show cars which will soon make their debut at major Car Shows around the world. The new organisation at I.DE.A Institute is centred on a new management team of young, highly motivated people. The ideas of the young designers, modern technologies, the competence and technical skills of the company's expert "historical" modellers are the strengths of the new I.DE.A Institute. Activities begin with the concept ideas, drawings and computerised renderings through to surface drafts, engineering and feasibility studies, right down to prototype construction. 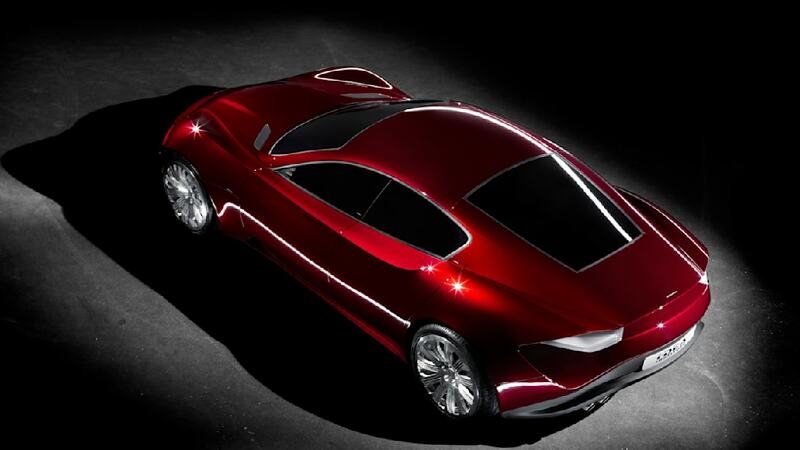 vehicle design, I.DE.A Institute is also working on projects for other industrial products and on interior design. Design team reinterprets function and takes a new look at shape while paying close attention to ergonomics and recyclability. In the home furnishings sector, I.DE.A Institute is working on projects with world-renowned names such as B&B Busnelli, Alcantara, Bialetti, Ariston and Indesit. I.DE.A Institute also takes part in international competitions in interior design and architecture.